Last weekend while I was lecturing in Indiana, our front page counter broke the 5 million mark. I was wondering who out there might have been the one to see it reach that milestone when, to my surprise, I received the below frame grab from our good friend Rudi Berwanger in Germany. Thanks Rudi, for sharing that moment with us! In case you missed it, you might also want to read the article I posted last year titled “About That Counter…” at http://www.shroud.com/late14.htm#counter. (Note that the counter registers only those viewers who enter the website via the front page, so it only represents about 35% of our total actual visitors). 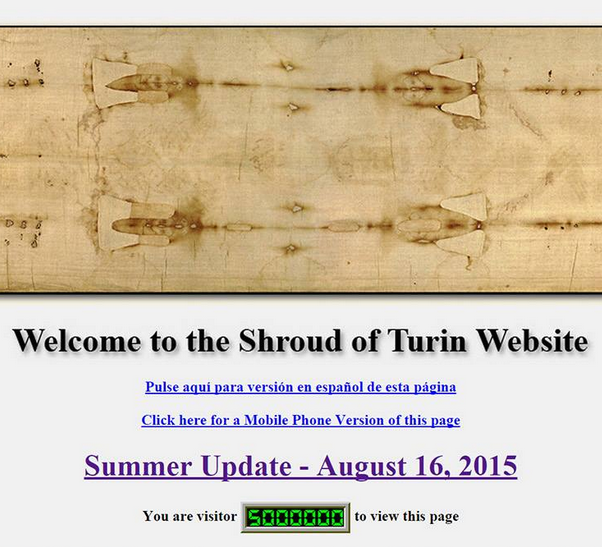 Founded by Barrie, shroud.com has had a long and important history as a primary source of information on the shroud since 1976. It is a go to publisher of shroud related papers and web pages. If you haven’t done so lately, visit the menu page and review the comprehensive General and In-Depth tables of contents.